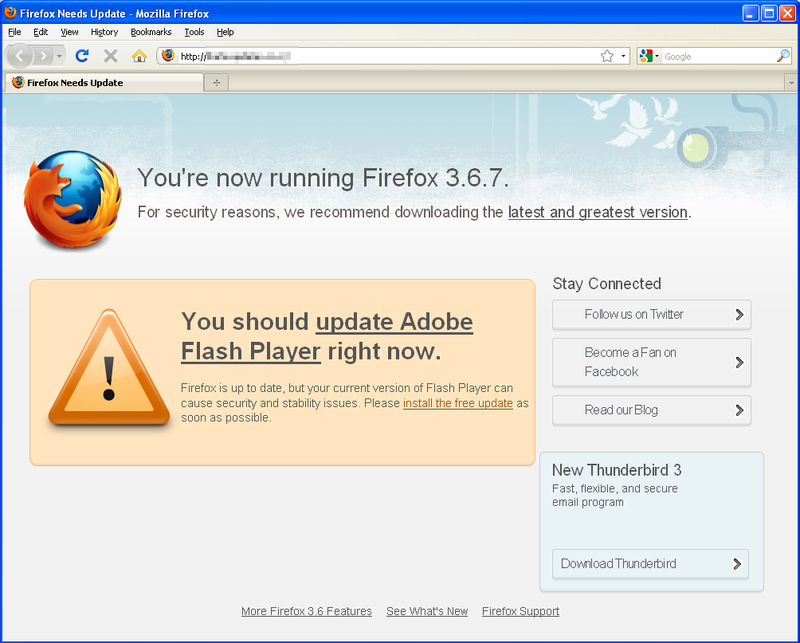 Over the weekend and for the last couple of day if you had Firefox it would prompt you for a flash update. This update looks a little odd because it looks exactly like the Firefox update page that you get when Firefox is updated. This page may have many people confused because it is an exact clone of what the official Firefox page looks like. Some Anti-virus systems are able to detect and block the link that this fake update page is pointing to. Others detect it too late, because this update once installed, is very hard to remove. Most free and paid anti-virus systems are unable to remove this virus once it is infected in your system. You will have to use a 3rd party Malware removing program such as Malwarebytes. Just run a full scan on your system and it should pick it up no problem. Malwarebytes will remove it and restart your system. The virus should at this point be removed but for extra measure run another scan to pick up anything that could be left behind.